This week marks the 40th Anniversary of the Hyde Amendment. This bi-partisan measure has saved two million babies and even President Obama has signed it every year in office. But there is a new effort to repeal it. We can't let this happen! This is just one of the many reasons our Get Out The Vote efforts are so critical this year. We must support candidates who will protect the Hyde Amendment and stand up for the unborn. 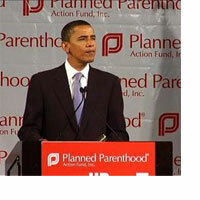 ** Mollie Hemingway - Media Censors Forensic Analysis Showing Planned Parenthood Videos Not Deceptively Edited - Important article! ** Susan Michelle - Women will have more healthcare access if Planned Parenthood is defunded - See the visuals proving the point! The mainstream network media ignored the latest video released on Planned Parenthood's practice of harvesting the body parts of aborted babies. The latest one detailing how one technician told another worker, "Want to see something cool?" referring to a baby's heart beating while harvesting its brain. "So, I'm over here. And, the moment I see it I'm just flabbergasted," O'Donnell said. "This is the most gestated fetus and the closest thing to a baby I've seen. And, she's, 'Okay, I want to show you something.' And she has one of her instruments and she just taps the heart and it starts beating. And, I'm sitting here and I'm looking at this fetus and its heart is beating and I don't know what to think." It's a disturbing video, yet not reported on major national news outlets..
** Half of Americans Haven’t Seen the Planned Parenthood Videos. Here’s What They Need to Know. ** If Planned Parenthood Goes, Where Do Women Go? -- Ramesh Ponnuru - Planned Parenthood defenders are upset that the critics keep saying that the organization was haggling over “baby parts.” That’s not accurate terminology, they complain. Fine: Let’s call them “parts of children” instead. -- Ramesh Ponnuru again - On the ignorance of the populace concerning Planned Parenthood [my bolding]- Pollster Kellyanne Conway corroborated my second point below in a poll she conducted in 2013 for the National Right to Life Committee. A full 88 percent of respondents said they were familiar with Planned Parenthood, but only 45 percent said that they thought its affiliates perform abortions. When respondents were asked how many abortions they thought Planned Parenthood affiliates perform each year, 55 percent guessed that it was fewer than 100,000, and 71 percent guessed fewer than the actual number (more than 327,000). -- Ross Douthat in the NY Times - . . . And the problem these videos create for Planned Parenthood isn’t just a generalized queasiness at surgery and blood. In a purple state, the Democrats try to hold on to a Senate seat by talking about nothing but reproductive rights. They lose. The Democrats try to turn Texas red by running the the progressive abortion advocate of the Huffington Post’s dreams. They’re routed. In Tennessee, the Left tries to preserve its judicially created southern abortion supermarketby out-spending pro-life advocates by an almost three-to-one margin and deluging voters with misinformation. Yet with the vast majority of the votes in, Tennessee’s pro-life Amendment 1 holds a strong lead. It’s likely we’ll look back at the “war on women” rhetoric from 2012 to 2014 as a truly bizarre phase in American politics, when one odd politician’s odd remark (Todd Akin’s, of course) was transformed by an opportunistic Democratic party and complicit media into two years of fake outrage. This year, with the middle class still hurting economically and jihadists advancing across the Middle East, focusing on protecting the “right” to late-term abortion and free IUDs struck many voters as frankly strange. By the end of his sad, single-issue campaign, Senator Udall was being heckled even by his own supporters. Let’s remember this night in two years, when the pundits will declare, with absolute authority, that Republicans should run away from social issues, leaving the field to the Democrats. Remember 2014, the night abortion lost. A majority of states require that a woman seeking an abortion wait a specified amount of time before she can have the abortion. Typically the state mandated waiting period is for 24 hours. Missouri, however, took additional steps yesterday to lengthen their mandatory abortion waiting period to 72 hours, overriding Governor Nixon's veto with a 2/3rds majority vote in both Chambers of the legislature. Mandatory waiting periods are important for a variety of reasons, but they provide women with time to learn their options, research alternatives to abortion and save lives of unborn children. The action taken by the courageous lawmakers in Missouri to override Governor Nixon's veto will undoubtedly save countless lives. Missouri now ranks second in the nation in terms of the length of mandatory waiting periods before a woman can have an abortion. South Dakota ranks first in the nation with a 72 hour-waiting period, which includes weekends or holidays. A Missouri woman who regrets her abortion and supports the Missouri law recently said, "A 72-hour timeframe is compassionate for women." Pro-abortion advocates categorize measures such as mandatory waiting periods as "extreme," unnecessary, and anti-woman. However, these desperate claims ignore the growing pro-life consensus in this country and the fact that states have been passing measures such as mandatory waiting periods at record rates. States that do not have laws requiring mandatory waiting periods for women seeking abortions should follow the example of Missouri. Mandatory waiting periods are a reasonable common-sense approach to ensuring true informed consent, which helps women and ultimately will save lives. Me: I'm impressed that Missouri legislators were unified enough to override the governor's veto. The pro-life movement in the United States is becoming more and more robust. Give up? The answer is the New York Times. No, you haven’t missed anything: the expose ran in the paper’s August 23, 1871 edition. The story, which is recounted in Cait Murphy’s book about New York in the Gilded Age, “Scoundrels in Law,” is, to use the old sixties phrase, mind-blowing. As Murphy tells us, while all abortions had been illegal in New York since 1869, not only were both abortifacients and surgical abortions readily available, abortionists openly advertised their services. One notorious abortionist, an English immigrant who went by the name of “Madame Restell,” made so much money that she built a mansion on Fifth Avenue! And not just any mansion, but one of the grandest of them all: even the servants’ quarters were “lined with mahogany” and furnished with Imported carpets. There's no shortage of skeptics on the possible link between abortion and breast cancer, but a massive study out of China is turning some critics into believers. The debate, which has been as explosive as any in the abortion community, has worn on for years about the possible side effects of the procedure on women. Now, say experts, the Chinese have produced some of the strongest evidence yet that a connection between the two does exist -- and powerfully so. The meta-analysis, which was just published in a credible peer-reviewed journal called Cancer Causes and Controls, found that the breast cancer risk for women after a single abortion jumped 44%. After subsequent abortions, the risks are even higher -- 76% after two, and 89% after three. Professor Joel Brind, an endocrinology expert at Baruch College, called the results "a real game-changer." The Left, which is desperate to discredit any study that jeopardizes its rosy abortion narrative, will have their hands full with these findings, which spanned 36 studies in 14 provinces. Of course, the real tragedy of the study is the breadth of the sample size in China, where the barbaric one-child policy has paved the way to more than eight million abortions every year. (CNSNews.com) – A new study pointing to a link between breast cancer and abortion among Chinese women may breathe new life into a debate over a long-contentious issue which both sides have accused the other of exploiting to promote its cause. The meta-analysis by Chinese researchers, published in the peer-reviewed journal Cancer Causes and Control, found a 44 percent increased breast cancer risk after an abortion. It also found that the risk grew significantly with subsequent abortions – a 76 percent increase after two abortions, 89 percent after three. A new study pointing to a link between breast cancer and abortion among Chinese women may breathe new life into a debate over a long-contentious issue which both sides have accused the other of exploiting to promote its cause. “In summary, the most important implication of this study is that IA [induced abortion] was significantly associated with an increased risk of breast cancer among Chinese females, and the risk of breast cancer increases as the number of IA increases,” said the authors, from the Tianjin Medical University Cancer Hospital’s epidemiology and biostatistics department. Just a month ago, Chinese media were reporting on a global breast cancer study which noted a 20-30 percent increase in breast cancer incidence among middle-aged urban Chinese women over the past decade. Kirsten Powers accuses national media: "We've forgotten what belongs on page one." Anyone who looked over at the rows of empty seats would have thought the trial hadn't begun. The media section of the courtroom, a full four benches of reserved space, was vacant. To most pro-lifers, it's a picture worth a thousand words--words, unfortunately, that the press refuses to use to tell the gruesome tale of accused mass murderer Kermit Gosnell. JD Mullane, one of the few reporters on hand to watch the abortionist's trial, still can't shake off the eerie feelings of what he heard there. "Sat through a full day of testimony at the Kermit Gosnell trial today," he tweeted. "It is beyond the most morbid Hollywood horror. It will change you." One thing it hasn't changed, unfortunately, is the media's indifference to the real war on women. The same networks that devoted around-the-clock coverage to the fictional girlfriend of a college linebacker can't be bothered to report on one of the greatest human rights tragedies of our time. Gosnell, who took so much delight in snipping the necks of newborns that he kept a virtual trophy wall of their severed feet, is accused of killing at least one woman and seven children. Witnesses say his victims numbered many more--at least a hundred living, breathing newborns whose chests, as his teenage employee described, were "going up and down real fast." For the survivors, Gosnell's torture chamber is the nightmare they can never wake up from. There, he "perforated bowels, cervixes and uteruses, and left women sterile"--all in a blood-splattered, animal-infested war zone, where women's cries were the common soundtrack. While the horror hasn't drawn reporters, it has drawn outrage. Social media is exploding in the vacuum of the networks' silence, as #Gosnell trends across the internet. The drumbeat continued yesterday, when the anger of 10 U.S. Representatives boiled over in a special order of Congress. With a sign "The National Media Cover-up" as their backdrop, almost a dozen Republicans took to the floor to expose the press's hypocrisy. "If Dr. Gosnell had walked into a nursery and shot seven infants with an AR-15," said Congressman Chris Smith (R-N.J.), "it would be national news and the subject of presidential hand-wringing." This is a man, fumed Rep. Scott Garrett (R-N.J.) who "had a simple solution for unwanted babies--he killed them. He didn't call it that. He called it, 'ensuring fetal demise.' He called it 'snipping.' Over the years there were literally hundreds of 'snippings.' This we find from the grand jury's report. Snipping? This is not a medical procedure. This is murder, and we should call it what it is." 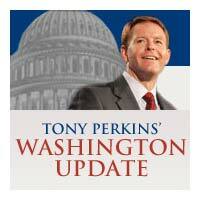 Others, like Rep. Scott Perry (R-Pa.), the father of two daughters, took aim at the President. "Are you so blind," he asked, "are you so intractable, are you so extreme that you yourself can't even call this out for what it is, something that is reprehensible? Pro-life or pro-choice, this is reprehensible. [You are the father] as I am, of two little girls. It is worthy of your attention, it is worthy of your leadership, it is worthy of your direction." This is not, as some have called it, "after-birth abortion." It's murder. How thin, mused Rep. Joe Pitts (R-Pa.) is the line between abortion and homicide in this country? Dr. John Fleming (R-La.) pointed out the tragedy that Americans care more about the humane treatment of animals than they do about humans. Think back to the Michael Vick dog-fighting scandal and the millions of angry Americans who clamored for his punishment. Where are those same people today, when children are literally screaming out in pain? It's simple,writes Kirsten Powers. "We've forgotten what belongs on Page 1." The loss of these lives, said an emotional Rep. Marlin Stutzman (R-Ind.) should "sear the conscience of civilized people everywhere." Meanwhile, Planned Parenthood--the same organization who lobbied on behalf of brutality like Gosnell's--appears to have more in common with the Philadelphia abortionist than people realize. At its Delaware branch, at least two nurses have resigned over the disgusting conditions of the clinic. "It was just unsafe," said Jayne Mitchell-Werbrich. "I couldn't tell you how ridiculously unsafe it was." The doctors "didn't wear gloves," she said, while her co-worker, Joyce Vasikonis, told Action News, "They were using instruments on patients that were not sterile." In a rush to get patients in and out, the women say the operating table was "not washed down, it's not even cleaned off. It has bloody drainage on it." After their resignations, which were prompted by a series of botched abortions, the clinic waved off the nurses' concerns. In a revealing interview with the state Department of Health, Mary Peterson was candid about the number of women at risk over unregulated clinics like this one. "I am not going to lie to you, we don't have the manpower to do routine inspections." Then perhaps it's time our government takes the half-trillion dollars it sends to Planned Parenthood and starts investing it in women's safety instead! It’s big news in Philadelphia, but nationally, not so much. The lack of coverage is a problem for a growing chorus of conservative and media critics, who allege that the scant national media attention can be attributed not to the courtroom drama but the politics of abortion. Dr. Kermit Gosnell was an abortionist, meaning that any coverage of the trial risks painting the pro-choice movement in an unflattering light. In a statement issued last week, 20 conservative leaders called for an end to what they described as a “media blackout” and “censoring” of the trial for political reasons. “The horrific excesses of the abortion industry exemplified by Gosnell and Planned Parenthood are major, national news stories any way you look at them. But the pro-abortion liberal media are determined to hide them from the public,” said the April 4 statement led by the conservative Media Research Center and signed by former Republican presidential candidateGary Bauer, columnist Kellyanne Conway and Family Research Council President Tony Perkins. “The media have a solemn duty to the American people to report the news, not just news that helps the positions they support. It’s unprofessional, it’s disgusting, and it’s inhuman,” the statement said. It was a scene that Philadelphia's District Attorney Seth Williams says "comprehension of the English language doesn't and cannot adequately describe." From its 15-year-old "anesthetists" to blood-stained walls, Kermit Gosnell's Pennsylvania abortion facility was the site of 261 pages of abortion horrors--horrors for which he is finally on trial. Yesterday, a jury sat in shocked silence as Gosnell's medical assistant recounted the pattern of cold-blooded killing. At Gosnell's request, Adrienne Morton admitted that she had "cut the necks of at least 10 babies after they were delivered." Weeping, she told the courtroom about a picture she had taken of a baby on her cell phone because he was bigger than any victim she had ever seen. "Gosnell later joked that the baby was so big he could have walked to the bus stop." Prosecutors tried to recreate the third-world conditions of the "clinic" in court with old and dirty equipment--one of the many nightmares in an office where 15-year-old high school students "perform intravenous anesthesia on patients" and "fetuses frequently clogged the toilet." Gosnell, who faces the death penalty, insists that he's the victim of racial profiling--instead of what he actually is: a monster whose inner-city torture chamber is the real face of "choice" in America. 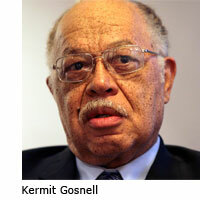 Update 3/22/13 - Important link: Assistant to Kermit Gosnell admits to killing 10 born-alive babies. Gruesome, gruesome, gruesome! As someone wrote, "Shouldn’t this be front page news, and worthy of extended series a la Casey Anthony? " Indeed! 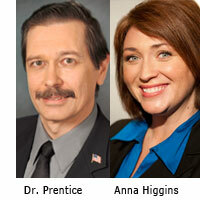 WHAT DO LEGAL SCHOLARS THINK ABOUT ROE V. WADE AS CONSTITUTION INTERPRETATION? As is widely known, this week marks the 40th anniversary of the infamous Roe v. Wade decision, which made unrestricted access to abortion-on-demand the law of the land. Its sister ruling, Doe v. Bolton, authorized abortion for women after the unborn child became "viable" for reasons of a woman's "health" - a term so broadly defined that it makes abortion accessible at any time throughout the nine months of pregnancy. This week also marks 40 years during which people of conscience have striven to correct this ruling, because 55 million children have been aborted and tens of millions of women victimized and permanently scarred. Among legal scholars, what attracted the most attention about Roe and Doe were the separation of powers and federalism issues. Leading constitutional lawyers such as Paul Freund and Archibald Cox were critical of the Court majority for striking down the statutes of all fifty states with so little warrant in constitutional text or precedent. Even Court watchers who favored legislative liberalization of abortion law were inclined to agree with dissenting Justice Byron White that the case represented an extraordinary judicial power grab. I find nothing in the language or history of the Constitution to support the Court's judgment. The Court simply fashions and announces a new constitutional right for pregnant women and, with scarcely any reason or authority for its action, invests that right with sufficient substance to override most existing state abortion statutes ... As an exercise of raw judicial power, the Court perhaps has authority to do what it does today; but, in my view, its judgment is an improvident and extravagant exercise of the power of judicial review that the Constitution extends to this Court. 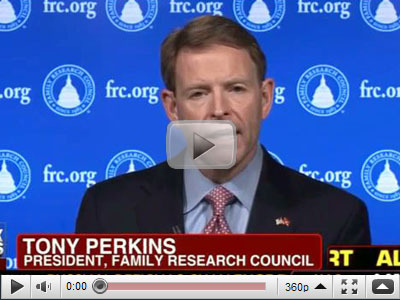 For three decades, Family Research Council has been at the forefront of protecting unborn life and seeking to provide practical aid to women in crisis pregnancies. From helping state legislators draft pro-life legislation to partnering with pregnancy care centers nationwide, FRC has been a leader in advancing a "culture of life" for all Americans, born and unborn. To access some of our most compelling resources (all of which can be downloaded at no charge), visit our website, One Life. There you will find user-friendly research papers, op-eds and videos that not only will encourage you but which also will challenge you to act. Our newest publication, "40 Years after Roe v. Wade - Six women Reflect on Tragedy and Hope," contains the stories of six women pro-life leaders who represent the next generation in the battle for life. It will encourage and inspire you as you pray and work for the little ones and their mothers. In words familiar to pro-lifers but which never lose their power, the Psalmist prays, "You formed my inward parts, You wove me in my mother's womb" (139:13). Life is precious to God. May we work to sustain it for the unborn and the born, now and always. Our government threatens to fine job creators in a bad economy. Our government threatens to fine a company that’s raised wages four years running. Our government threatens to fine a family for running it’s business according to it’s beliefs. It’s not right. I know people will say we ought to follow the rules; that it’s the same for everybody. But that’s not true. The government has exempted thousands of companies from this mandate, for reasons of convenience or cost. But it won’t exempt them for reasons of religious belief. Beldon handed out “five key points” to oppose billboard campaigns, how to respond to pro-life messaging. . . .
Belden, pictured left, said it will be necessary to make sure polling generates the answers they need. She bragged she can make polls say what she wants them to say, that it’s all about asking the right questions, in the right sequence, with certain phrasing. Belden said it is critical to keep the subject on healthcare, not babies. She said abortion proponents must also accept the fact that many blacks believe there should be some restrictions on abortion. So, “you move them off the circumstances, which you know are going to lose,” she said. She said to move the conversation to reminding people we can’t possibly know all the health reasons and issues going into a decision to abort. . ..
Frame the issue as the need for quality healthcare and education in the black community. 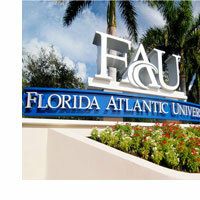 Site disparities with healthcare and education between the cultures. Call for an end to the disparities. Express the value of self-determination. Turn “genocide” around: The killing and endangering of our people is really happening by way of substandard healthcare and lack of good education. That’s really the problem. 1. The pro-life community needs to more heavily invest in billboard campaigns in black communities. Donate today to one or more of the organizations listed on the dossier above, or to the NBPLU. 2. Focusing on the babies, that abortion is calculated genocide of the black community, and that most abortions are committed for reasons of convenience are winning issues. 3. Encourage black pastors to preach more strongly against abortion. 4. A fitting verse comes to mind: “The arrogant godless try to throw me off track,” Psalm 119:85. But we won’t let them. Last Friday, the Obama administration proved that it's more than capable of cutting funds--in retaliation. As payback for Texas severing ties with Planned Parenthood, HHS Secretary Kathleen Sebelius promised to take out her anger on the state's low-income women. Starting this May, the government will phase out more than $30 million in health coverage for the most underprivileged people in the state--all because Texas wanted its citizens to have the benefit of unbiased care. The Obama administration decided to kill the funding for cancer, STD, and breast screenings because Gov. Rick Perry (R) dared to look beyond Planned Parenthood to providers who aren't under congressional investigation.